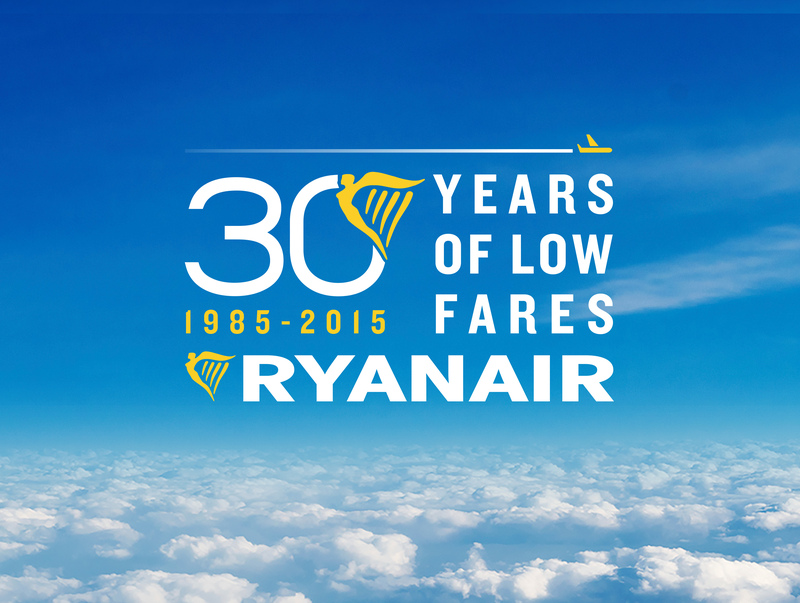 Ryanair, Europe’s favourite airline, today (14 Jan) launched the first celebrations marking its 30th birthday. From carrying 5,000 annual customers to over 90m p.a. and over 750m in total. Ryanair carried over 86m customers in 2014, saving its customers over €10.1bn, while opening 8 new bases and launching flights to/from 19 new airports, as well as unveiling its “Always Getting Better” customer experience improvement programme. Customers booking with Ryanair can enjoy allocated seating, a free second carry-on bag, reduced fees, a new website, a brand new app with mobile boarding passes and Family Extra and Business Plus services, making Ryanair the ideal choice for families, business and leisure travellers, with more improvements to follow in 2015. “Ryanair revolutionised and democratised air travel in Europe and 2015 marks the 30th anniversary of our first flight from Waterford to Gatwick 30 years on, Ryanair has grown to become Europe’s biggest airline, carrying 90m people annually, between 30 countries, and saving European customers over €10bn every year. 2015 will see a number of events to mark our 30th birthday, as well as the next phase of our “Always Getting Better” programme, as we continue to grow our route network, improve our customer experience, develop our digital platforms and widen our offer. The one thing that won’t change however is our low fares. We continue to offer Europe’s lowest airfares, with the biggest route network and best service. To mark the start our of 30th year, we’re releasing 100,000 seats across our European network, from just €19.99, for travel in January, February and March, which must be booked on the Ryanair.com website by Thursday (15 Jan).